Iberico ham and Manchego, smoked salmon, apple and ginger and roast beef and coleslaw. 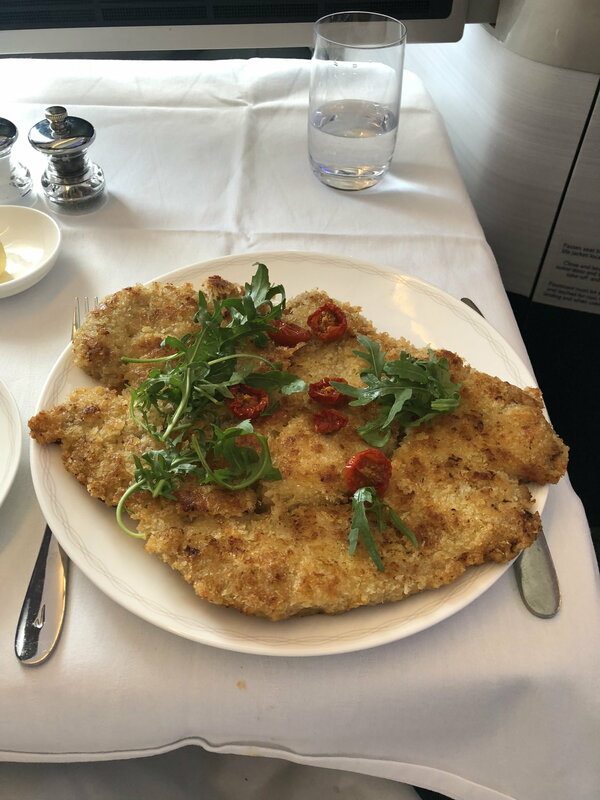 Veal Milanese with rocket and slow roasted tomatoes. 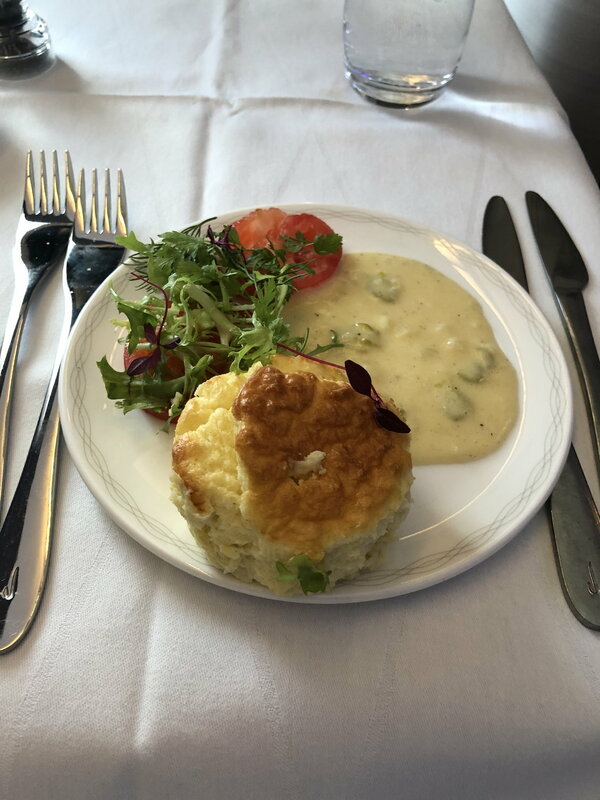 Warm asparagus soufflé with Parmesan cream sauce. 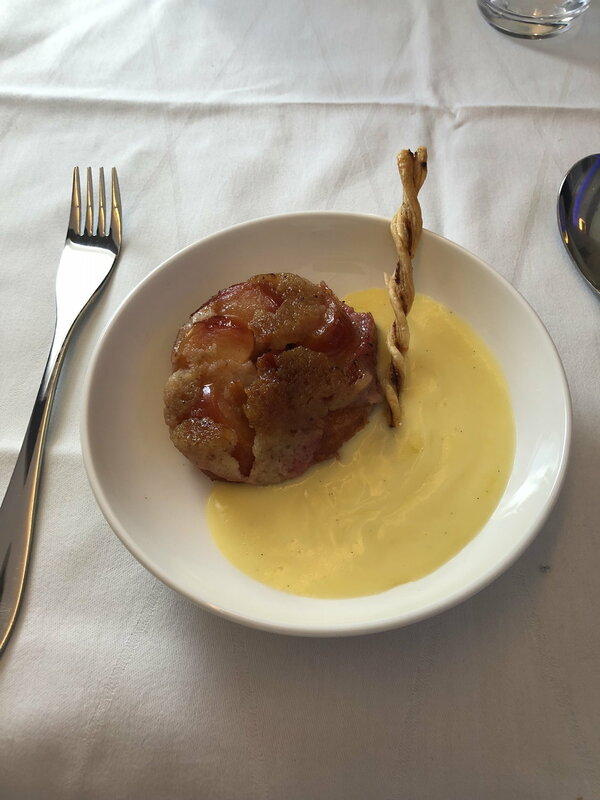 Warm plum tart Tatin and custard. LHR-SEA early Oct in F.
Thinking of trying the monkfish, is this new or has anyone had it before? Been offline catching up with work. My flight was 28/08. Thanks! I'll take a wild guess that this may have been the September menu starting a bit early? 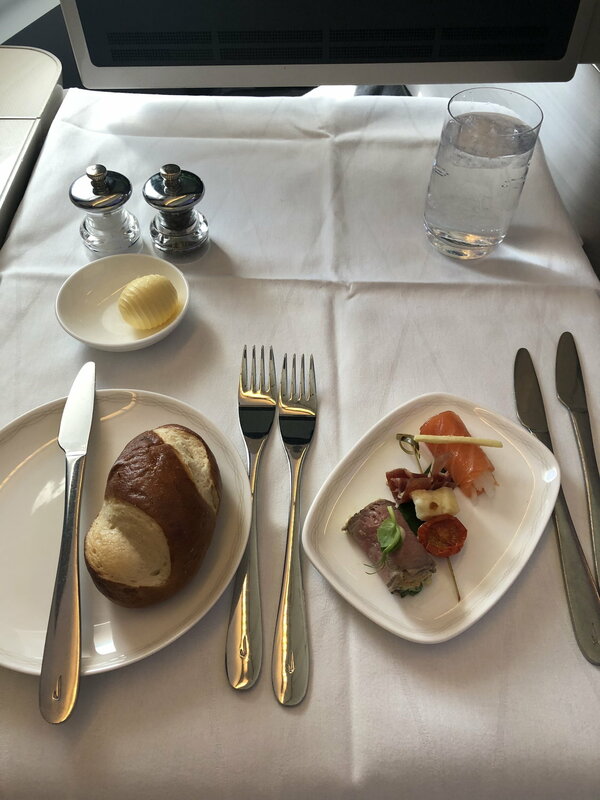 I had two J to Singapore in August (the last on 22/8) and they had an entirely different (the same for both) menu. And nearly identical to the menu to Shanghai early October in F. The only difference seems to be the monkfish replaced by a Chinese duck dish. 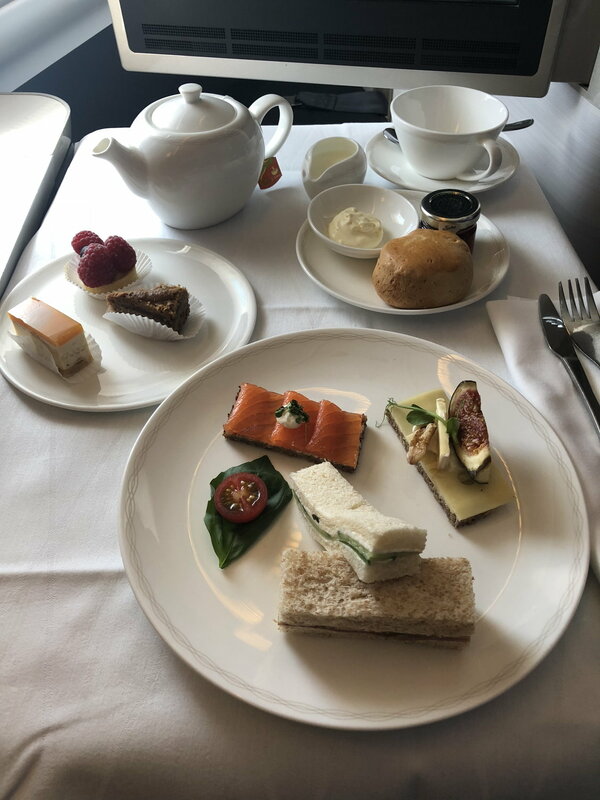 While it’s nice to see a Chinese dish on a flight to China I’d have liked to try the monkfish too and would have preferred they’d swapped one of the other meat dishes for the duck. Anyone got a menu for F to ORD in October? I just realised this route is catered by Do & Co so looking forward to it now! Does it tend to be the same as the JFK menu? Nope to my knowledge, only JFK gets the excellent JFK menus. I have this same menu to choose from on an upcoming flight. Any suggestions? I'm always worried that pork belly will be a big slab of fat. Has anyone had the guinea fowl, seems like it may be better than the beef, although I like the sound of the the veg and sauce with the beef. Mrs Gomac has picked it for a flight on Saturday so I can get a pic for you and let you know. I was tempted with it myself.